1. Mounts easily to drywall or studs. 2. Durable easy to clean. 3.All the accessories are available. 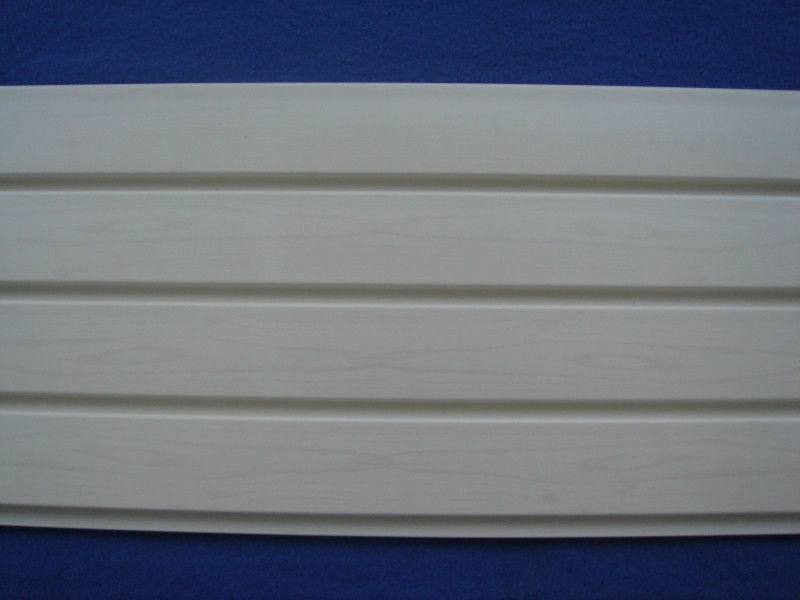 Tongue and groove, top and bottom for large applications. Keep the garage clean by hanging everything from power tools to rakes to cabinets on the Slatwall system. water from pooling at the bottom of the slat. sponsor of the test. All values quoted are nominal, unless tolerances are given. The specimen was self-supporting and was placed directly on the inner ledges of the tunnel. The specimen consisted of 12 pieces of 310mm wide* 1110mm long x 4.92mm thickness and 2 pieces of 310mm wide x 650mm long x 4.92mm thickness and all sections jointed end-to-end. with their flame spread and smoke-developed indexes. requirement of Class A interior Wall & Ceiling Finish Category.